Recently a friend told me about the stiletto mark on her forehead. What? Come again? 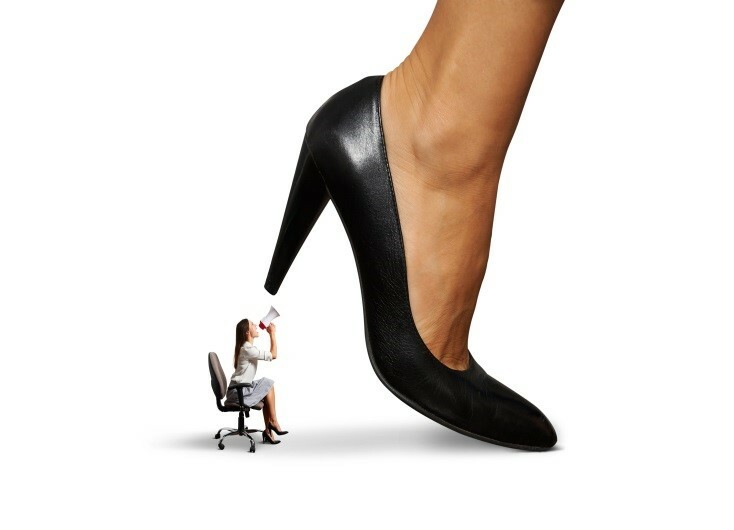 I was going to call this blog How to Establish Your Stiletto Boundaries, but I wasn’t sure – just like when my friend first told me about this concept – that it would make sense to you. She was sharing with me the fact that she finds it difficult to say “no” to anyone. And because she can’t say no, she feels like people walk all over her. I had to think about this and reflect whether I too have a stiletto heel on my forehead. Do you? In other words, are you letting everyone walk all over you in life, in love, at work? Do you bear the mark of being a do-gooder that is so busy bending over backwards for everyone else that you neglect your own wants and needs? Can you learn how to say no and not feel guilty? Imagine the situation that you are coming home tired after a long week at work. You are looking forward to some time on the couch catching up with your DVR. And then your neighbor calls and tells you about the fundraiser for the library that she needs you to volunteer at for 3 hours tomorrow. Oh yes, and could you bake 2 dozen cookies for it too? What response choices do you have? 1) “Okay, what time?, Chocolate chip ok? “ This is a passive response. You really don’t want to do it but you don’t want to risk her being angry at you. 2) “What? You must be kidding? I work! I don’t have time for that kind of stuff. Maybe you should ask someone who isn’t as busy as I am.” This is an aggressive response – clearly no a healthy way of coping, yes? 3) “That sounds like a really worthwhile cause but I have other plans for the weekend. Keep me in mind for next time.” This is an assertive response. You stated your position with no apology or blame and left the opening for future requests – if you are sincerely open for that. Remember that to strike a balance in our lives, as we choose our response options we must weigh the outcomes. The Passive response violates our own boundaries. Passivity in many ways is a dishonest inauthentic response because it keeps your feelings to yourself. It involves letting other people violate your personal right to be treated with respect and dignity. The result is a growing sense of resentment and feeling used. Many of us have been taught to be “good girls” so the aggressive response is not usually an option. 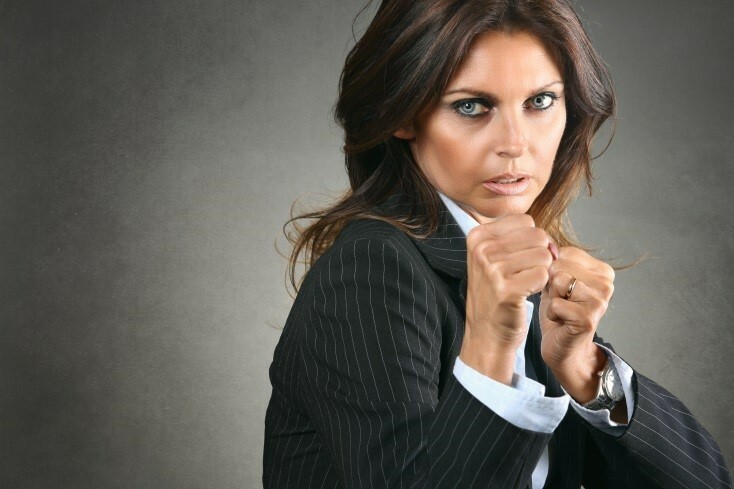 An aggressive response involves expressing your feelings through insults, sarcasm and hostile statements and actions. It involves expressing thoughts, feelings, and opinions in a way that violates others’ rights to be treated with respect and dignity. The downside is that aggressive response can cost us friendships. So, why can it be so hard to say “no” with polite assertion so that we allow ourselves to get a permanent stiletto imprint? What do we need to do to become more assertive? How can we stand up for ourselves and erase the stiletto mark from our forehead? What is the worst thing that can happen if they are disappointed when I say no about this? Is it the end of the world? If they are angry at me for saying no does this mean that they will never get over it? Do I want to surround myself with those types of relationships? Is guilt really more my problem than theirs? What happens if I choose not to accept the guilt? Is taking care of my own needs being selfish? Are my needs really less important than theirs? Once you have determined the internal beliefs that get in way of standing up for yourself you will find the strength to be direct and honest in your communication. The key to not allowing yourself to wear a stiletto print on your forehead is quite simple: If you can’t or don’t want to do what they ask, don’t acan’tize or make excuses. Just say you can’t and go about your life in exactly the way you want to – sans high heels. Dr. Ines K. Roe has been helping women in transition rediscover themselves for over 20 years. If you’ve been feeling unfulfilled, are frustrated with your sense of accomplishment in midlife, or simply need guidance on your path to holistic well being, join her e-courses. I’m super-assertive, or so people think, but there are times when I, too, fail to set appropriate limits. A good reminder. We all do, sometimes, Carol. For those of us who are “people pleasers” this is an important information. I’m finding the older I get, the easier it is to say NO! Thank you Mary. After reading the article, did you start gauging the way you say “no” to other? I hope it helped you. Great post. The older I get, the easier I find it to just say no! Definitely brought us as a “good girl” I’ve had to re-examine myself. You hit on some wonderful and thought-provoking points. I am definitely working on this! OK, I read this line three times….”Remember that to strike a balance in our lives, as we choose our response options we must weigh the outcomes.” I really should have it printed on the inside of my glasses or at least a note taped to my computer screen…. Thank you for the reminder and this great advice! I learned long ago how and why I should do what I want to. It’s a blessing! What you said is so true too. Great (and timely) article… I have such a hard time saying “NO”! I’m getting better, but this is a great push in the right direction.